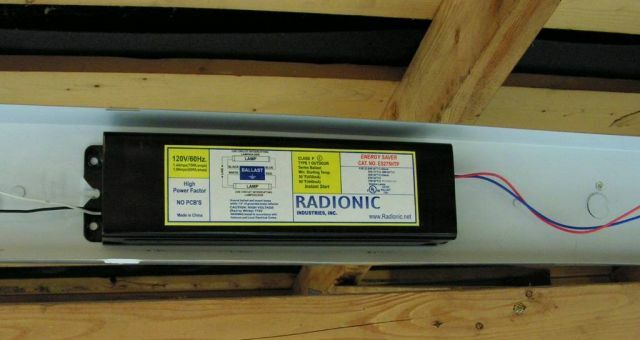 This instant start ballast operates 2 F96T12 eight foot, 75 watt lamps. It weighs about 20 pounds. The wires look rather thin. Hmmm Radioinc stuff, yeah they are of Chinese orgin. Nothing like this when I was a teen experimenting with fluorescent ballasts. Virtually everything then were USA made or assembled in Mexico. @imj: 18 gauge or slightly larger wire is used inside fluorescent fixtures. The insulators are what's thin. weigh it and see if it's true.